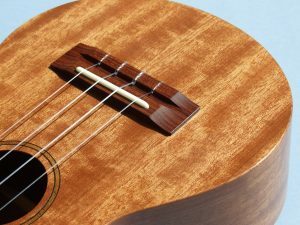 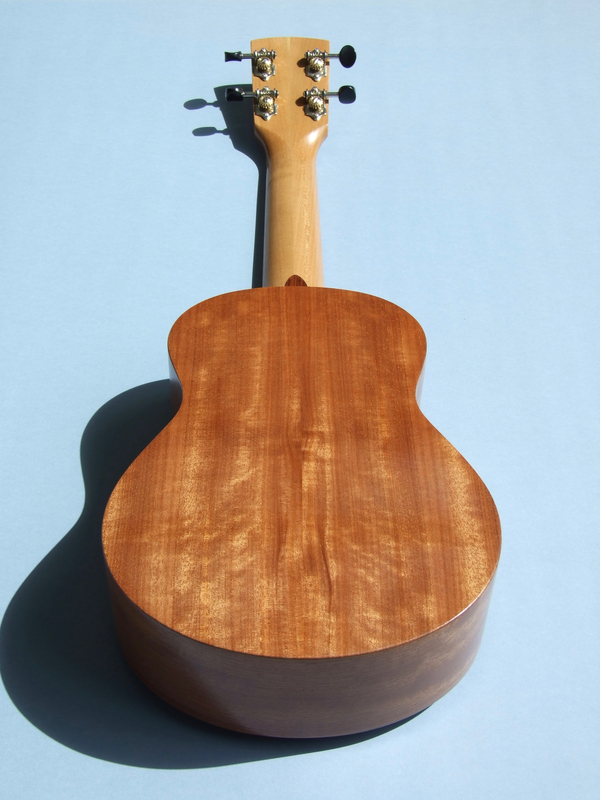 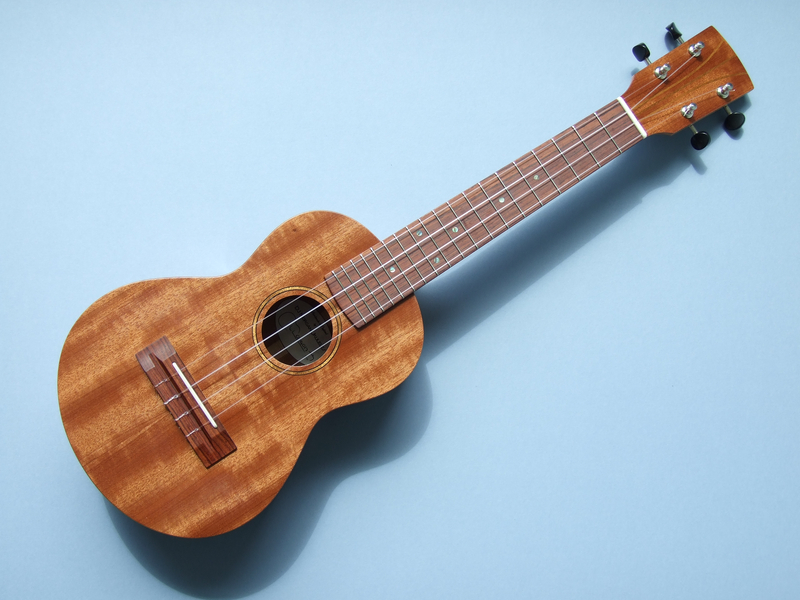 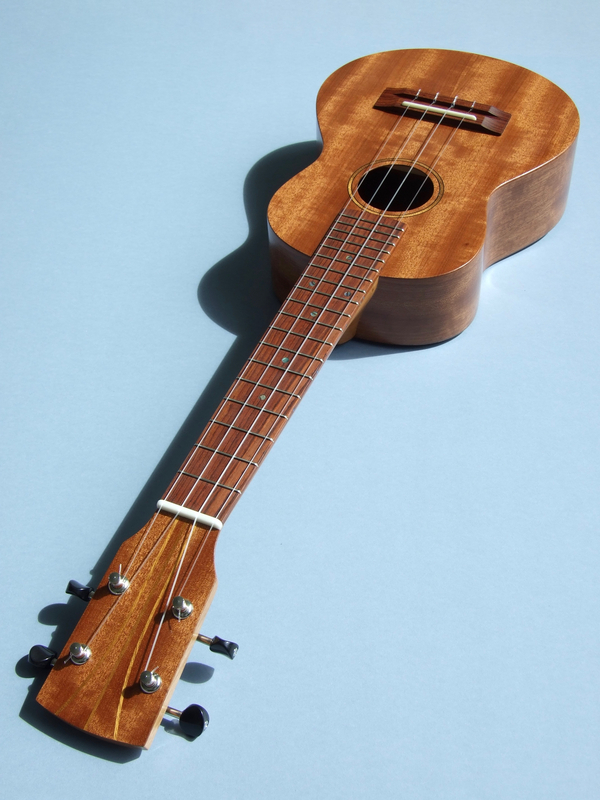 Body: Makore with African Walnut sound hole rosette. 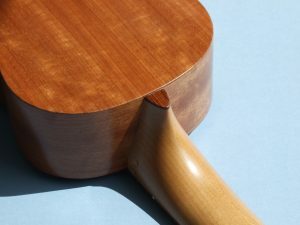 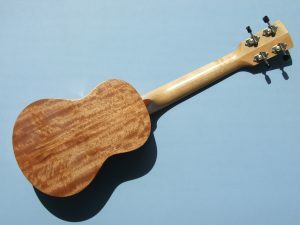 Neck: American Cherry with Makore peg-head facing. 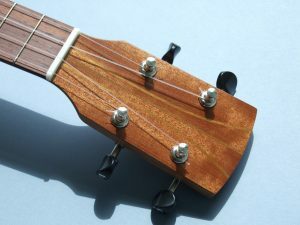 Fretboard: Honduras Rosewood with abalone fret inlays, abalone side dots and a corian nut. SOLD: £450 including mainland UK postage. For more information about this instrument please email me.